60 minute flow yoga class designed to start your morning out right! Suitable for all levels. Learn how to synchronize breath with movement and experience how staying together in a group as one vibration, one body – creates unity, generates power and a healthy strong will. Ujai breath (a soft audible breath) is primarily the pranayama technique practiced and used to generate Prana in this class. Physically, it is a faster pace – fluid yet strong and is suitable for all levels of experience in yoga. This style is recommended specifically for any students struggling with a lack of motivation, vitality or zest for life, lethargy or laziness, as well as for anyone overweight or experiencing a dull mind. Surya Namaskar (Sun Salutations) is foundational for the Vinyasa style as it provides a physical link between postures making the class flow seamlessly and uninterrupted. Vinyasa Flow is a fiery practice that builds internal heat, igniting the internal fire for purification, detox and increased vitality. This class invites students to sweat their prayers. Ha meaning Sun and Tha meaning Moon – provides the perfect balance between strength and flexibility, effort and ease, yang and yin energy and the divine masculine and feminine archetypes. Here in this class we experience traditional yoga asana. Classical Hatha Yoga is the foundation of all of yoga, moving students through postures – not in the popular flow styles we are used to, but simply from pose to pose. In this class students build a foundation for their practice, which is alignment based. This class offers sufficient time between postures to give the science behind the asana, to break it all down. Kevin’s first yoga teacher training in India  was in the style / lineage known as Sivananda, a classical hatha style. Comfort, confidence and full body awareness gives students the strong foundation they are looking for in this class. This class is recommended for beginners and is an excellent choice for the already experienced yogi who desires to study asana more in depth. We will use a chair to support most of our poses, but where appropriate for the student some standing and floor work will be added. Poses to safely maintain and improve balance will also be important parts of our practice. Coordinating breath with movement – beginners to the practice of yoga will enjoy this class very much. 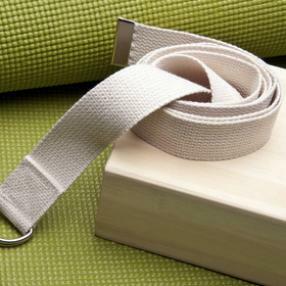 It is safe and comfortable for all students, allowing one to slow down and feel at peace during their practice. 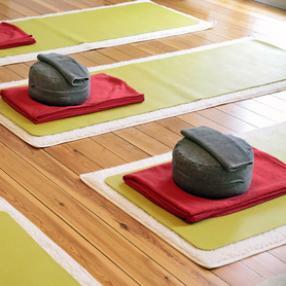 Quiet the mind and let go in this restorative, meditative and mindful class. 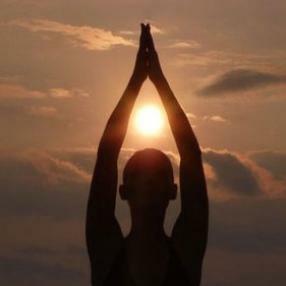 Gentle Vinyasa is like a return to innocence, full of light and joy. Students should ideally have had two years of classes to prepare them for this class in which inversions are part of the practice. Quiet the mind. Resolve to be still. Allow for deep release and peace. This powerful class works with the feminine yin; a receptive energy that cultivates restoration, relaxation and renewal. Mantra is used to assist in quieting the minds of students as they open their bodies slowly while maintaining body and breath awareness. Yin style is known for increasing flexibility in students of yoga, and for providing many moments of opportunity for meditative absorption. This class is specifically recommended for agitated, anxious, stressful minds and stiff, rigid bodies – but of course all beings benefit from such a quiet, mindful practice. Yoga props are used in this class to support students in the poses, as each posture will be held approximately 3-5 minutes. The idea here is to RELAX… and be mellow.